Purpose: Use this document as a reference to post group transactions to the student accounts in ctcLink. Select a filter option e.g. GL Run Date Range. 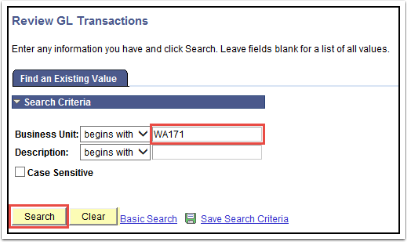 Enter a value for the selected option e.g. From Date and To Date. 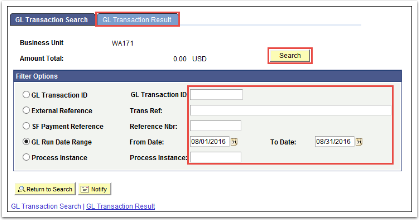 Click on the GL Transaction Result tab to view the search results.